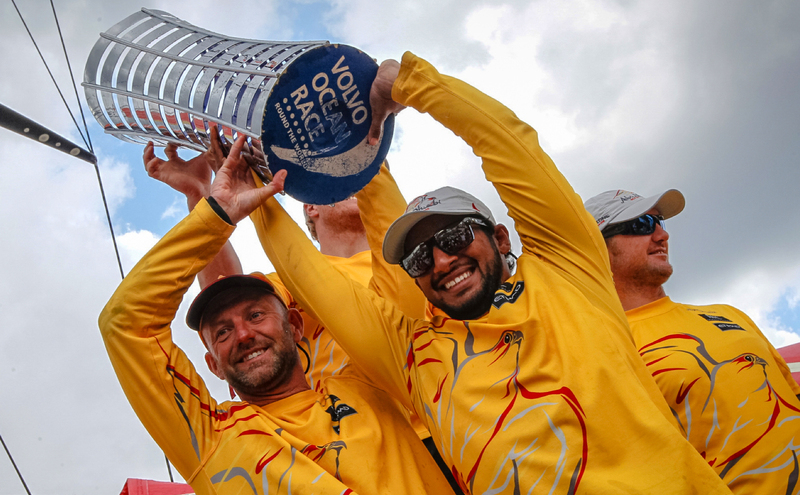 The more balanced step in the history of theVolvo Ocean Race was the Abu Dhabi Ocean Racing as the winner. 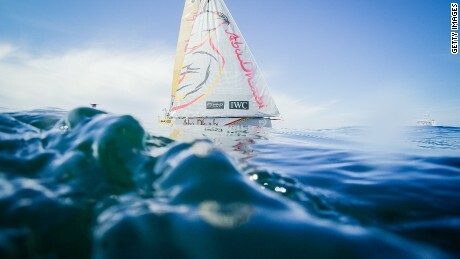 The Arab team crossed the finish line on the afternoon of Wednesday (5), after 25 days of race, between Alicante, in Spain, and Cape Town, in South Africa. 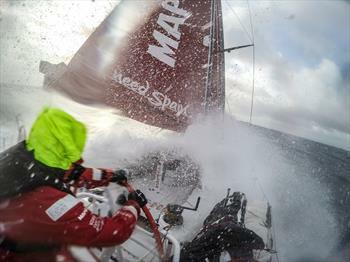 The result was tight, as the second-placed Chinese Dongfeng, appeared 12 minutes later. In the HomeStretch, Arabs and Chinese staged a real ‘take’ in African waters. “I am very happy for the win! I didn’t expect. Our Team sailed very well and we deserved the result,” explained the Englishman Ian Walker, Commander of Abu Dhabi. “The latest 2 hours were exhausting. But we must not forget the past few days with the Dongfeng pressure. I have to congratulate Charles Caudrelier-captain of the Chinese boat – and your team for the race. They cannot be underestimated”. The result marks the redemption of Abu Dhabi. In 2011-12, on the same stage, the Arabs lost their mast and were forced to abandon the leg. This time, the strategy of Ian Walker was more conservative, without leaving the forefront for most of the route. The battle with the Chinese began after the Canary Islands, before the line of Ecuador. With the passage by the Doldruns-zone of calm, the prognosis began to set with two groups. That’s where the MAPFRE, Brazilian Andre ‘Cheek’ Fonseca lost ground. 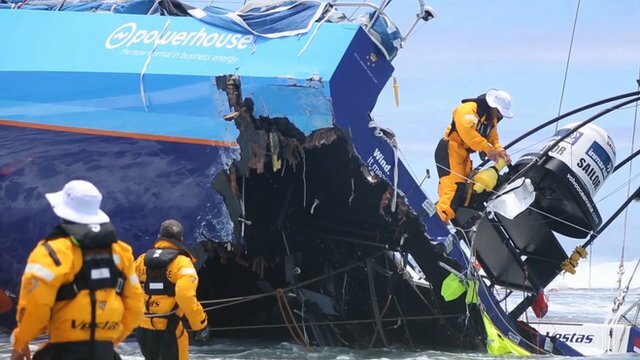 Vice Champion of the step, the Dongfeng had two structural problems on the boat and ended up losing more than 6 hours for repairs. 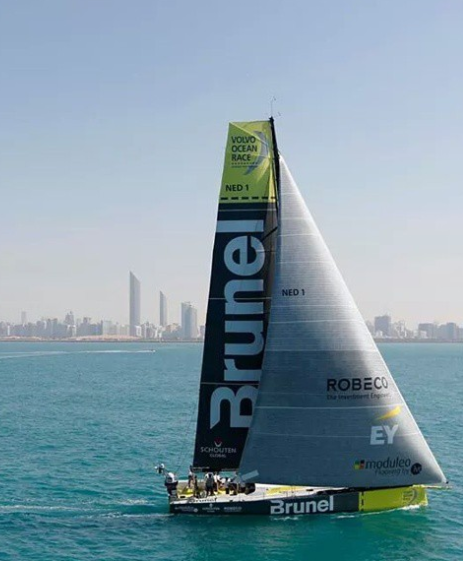 But, in spite of the Abu Dhabi and Dongfeng have led most 12000 kilometers from the first leg, all the other teams felt the taste of being in first place for hours. The next boat to complete the first step should be the Team Brunel. The Dutch are expected in Cape Town in the early evening Wednesday. By monitoring the Volvo Ocean Race, the fourth to arrive will be the Team Vestas Wind, Denmark. The forecast indicates that the Scandinavians will cross the line on Thursday morning (6). Team Alvimedica is expected during the night. 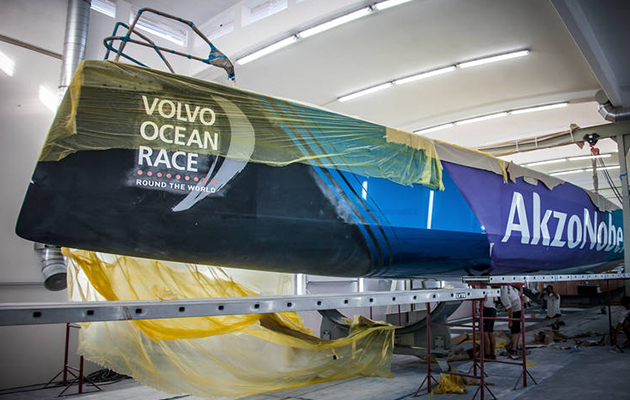 Already the Spanish MAPFRE and the Swedish Team SCA should only appear on Friday (7). The sound of vuvuzelas and the published promise to animate all the sailors who will arrive in South Africa. 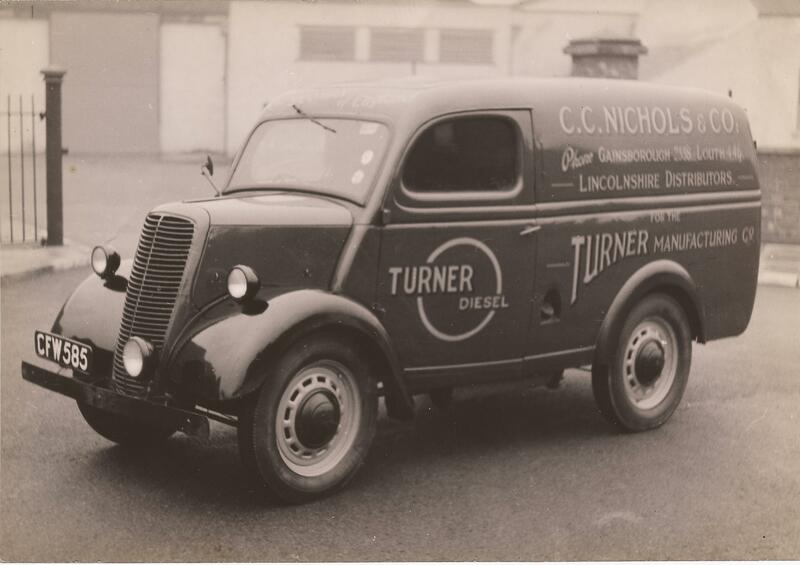 They suffered with the temperature variation – in the beginning more hot and then cold and rationing of food on board. 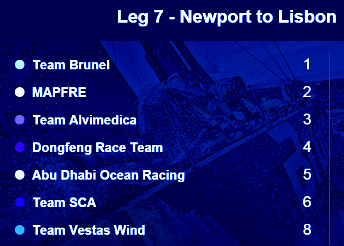 Volvo Ocean Race: Dongfeng win leg 6 to Newport!